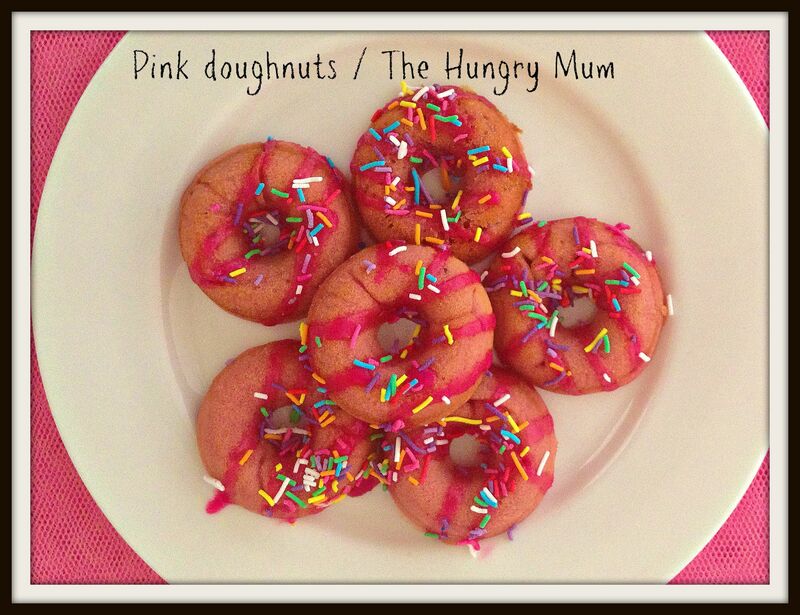 I know, I know – pink isn’t a food. It is a way of life, especially if you’re in the under 8 set, like my second-born. She is a poster girl for everything pink and girly and frilly. Even when she is climbing trees or running around at soccer training she is usually in clashing shades of shocking and pastel pink. I have no idea why, I have never been a fan of gender-cliched dressing and my first born has a dislike of pink bordering on the obsessive. My go to colour is red and I have always sought out clothes in colours other than pink for my gals but it just goes to show that pink is boss. 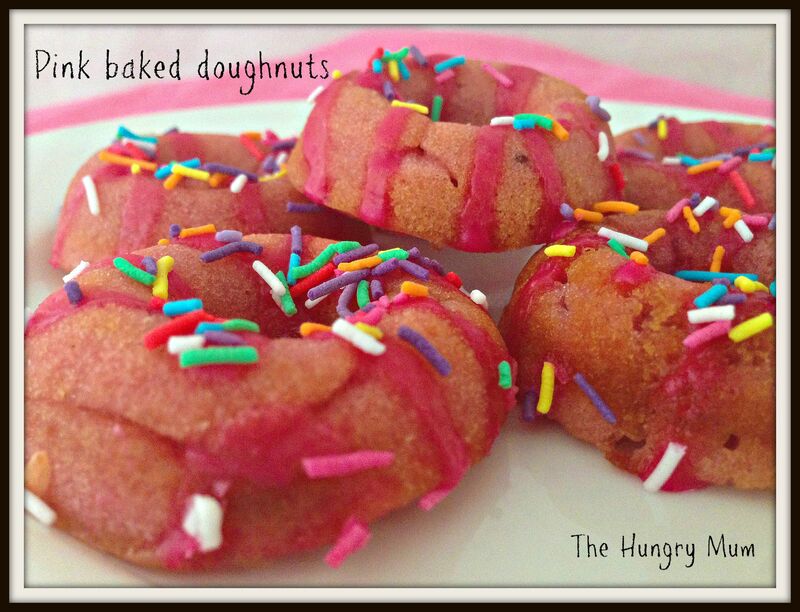 So to these doughnuts… I tweaked a recipe I found at Mary Quite Contrary Bakes – see the original here: http://www.maryquitecontrarybakes.com/2011/05/strawberry-glazed-doughnuts.html . I used a mini pan so this recipe made heaps! 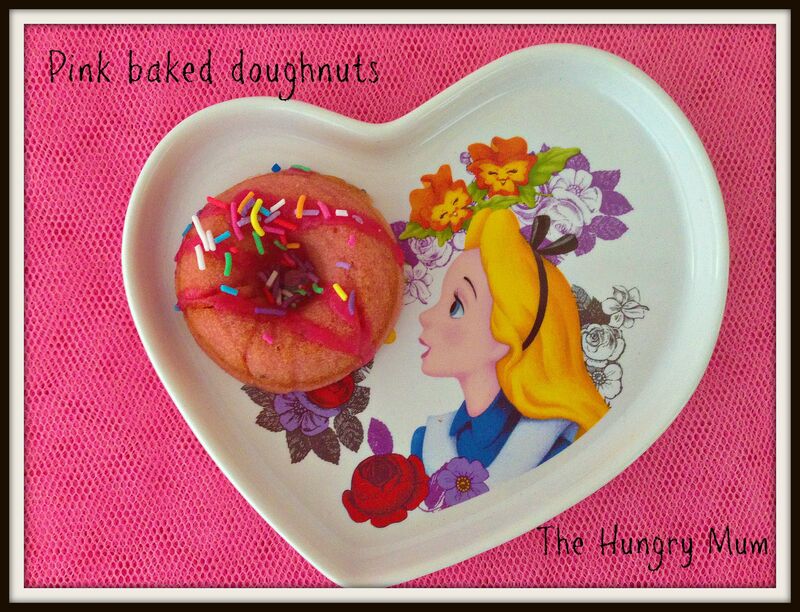 Baked doughnuts are fun to make but you will need a doughnut baking pan and a Ziploc bag to make them. 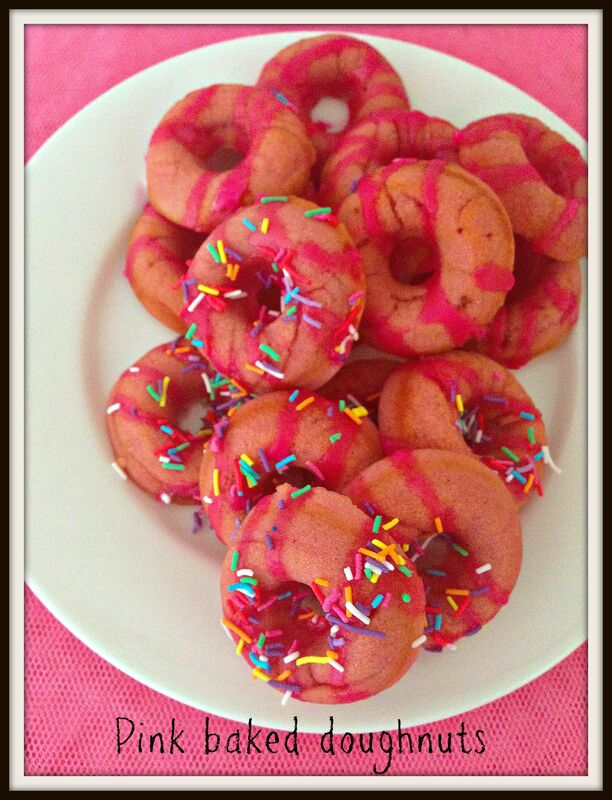 Preheat oven to 180 C and thoroughly spray a mini doughnut pan with non-stick baking spray. In a large metal bowl stir together the flour, baking powder, sugar and cinnamon until combined. Make a well in the centre, add in milk, egg, butter, syrup and jam (and food colouring if using) and quickly stir until just combined. Get a large plastic cup or jug and open a Ziploc bag, then push the open bag into the cup and fold the top of the bag over the rim of the glass. Pour the batter into the bag, then use a pair of scissors to cut the corner off the bag. Pipe into the donut pan until two-thirds full then bake for around 7-9 minutes – they don’t take long. Remove from oven, flip onto cooling rack, then repeat with remaining batter – make sure you spray pan each time with baking spray. 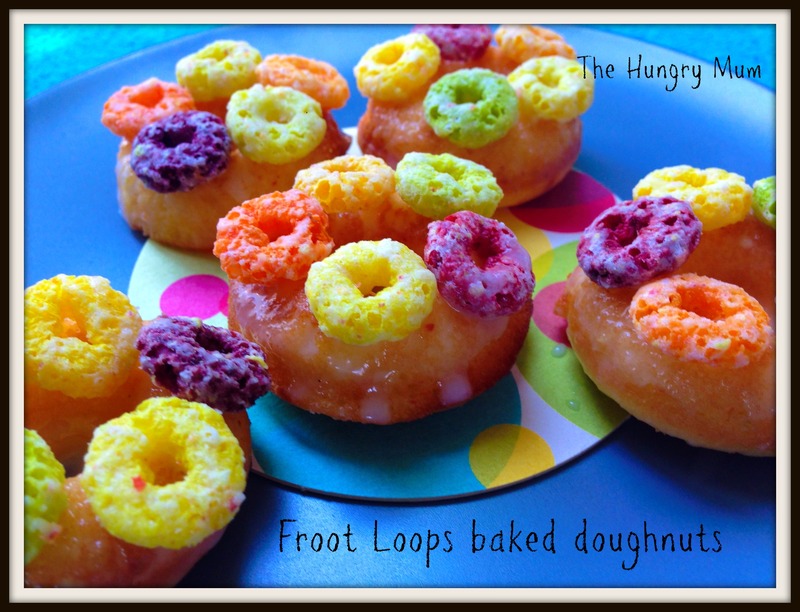 Sift 1 cup sifted icing sugar into a bowl then mix with milk until it is a thick pouring consistency – drizzle over cold doughnuts then sprinkle over 100s and 1000s.